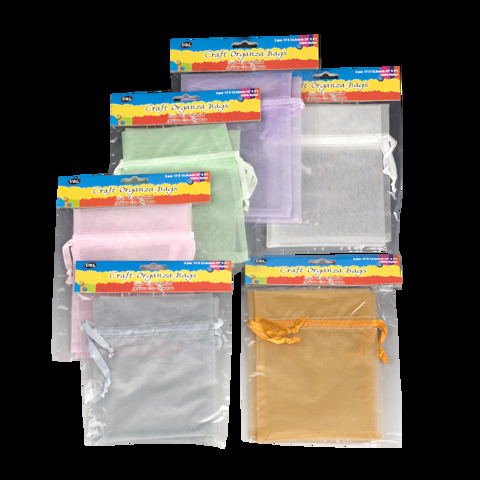 Bags Organza 17X12Cm 2Pk 6Asst. 12 x 17cm. 6 Assorted Colours: Pink | Orange | Purple | Grey | Green | Blue. Solid Colour Per Pack. Organza. 12G Packaging: Polybag with Header Card.